Most horror is of man’s own makings; human trafficking is a perfect example. Alcoholism may be a disease, but it also takes a horrible toll on those who don’t drink. Demons are a man-made construction of maleficence. And then there are those unexplainable entities that have no classifications. They exist in the corners of our eyes at night. Things we fear so much in our own mind that we demand ourselves to not focus on those thoughts. Those wandering thoughts. It is better that way. 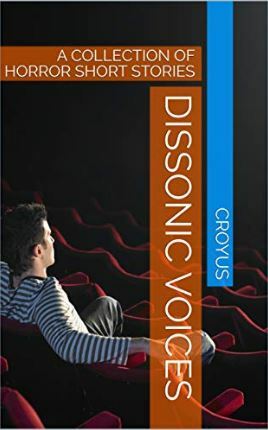 In this collection of short stories, Croyus introduces the unfortunate reader to some of the beings that live in his dark universe. A universe where reality is inharmonious and unresolved.